I've just received the carryboy version from VVS in Thailand. Cost $60 delivered. The unit & mounting hardware looks identical to the 1 in the photos that member aussie already posted above. The ram does retract only with a fair force down if I put 1 end on the ground and 'lean on to it'. Just a little PS and most members probably already know; but especially while fitting, and once a product like this is installed: the slightest little knick or ding to that extended ram's smooth finish will damage the internal o rings when it gets compressed back into the tube & very quickly give you a strut that leaks. So be very careful not to damage it. This is often the cause of failures, or people thinking it did not last as long as it should have. A wee bit of WD40 on that ram surface now & again when it's extended (bonnet/hood up) will not hurt either. 30 minutes install & very easy. The issue about getting a bit of compression on the ram to get the second ball into the bracket socket didn't come up. I just left the bracket on the bonnet very loose, and you can lift the bonnet a fair way higher than where it is when resting on the factory lifting rod to 'cheat' that bit of length needed. Once I clicked the ram into the bracket just nipped everything up. The lifter takes the bonnet all the way up now of course on it's extension stroke, fair bit higher than before when resting on the factory rod. Got it fitted. Wrapped the rod in some cloth and put it into my bench vice. I could then twist the body freely. Still no luck pushing the rod into the body. So I gently tapped the end a few times with a wooden mallet and that seemed to have done just enough, such that I could push the rod in. Took a lot of force, which I suppose is correct, given it's holding the bonnet up! Can hold the bonnet open at most angles up to about half way, it just sits there open and doesn't move. From about halfway up, the gas lift takes over and it opens on it's own and stays open. Top bracket. 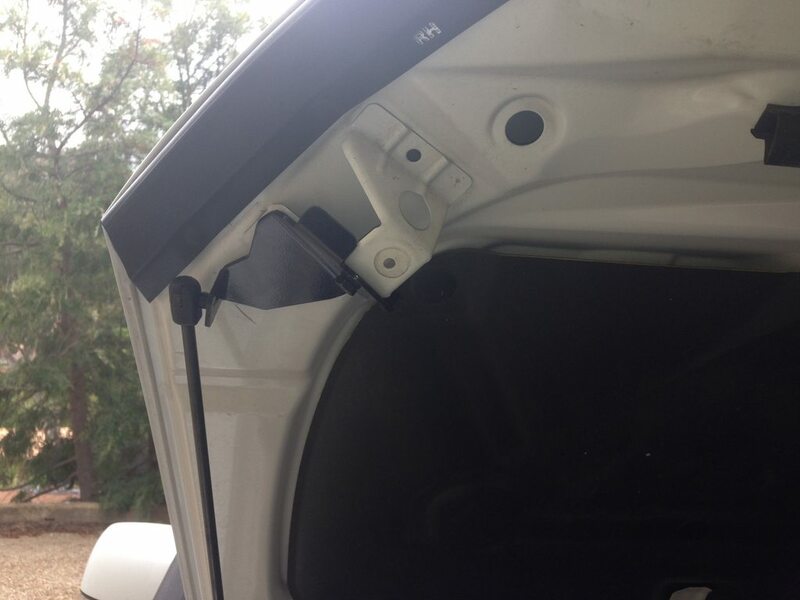 Actually two brackets one either side of the bonnet mount and a single high density bolt and nut holding them together. Bottom bracket. The instructions had a horn attached there and to re-use the bolt. None in my year model, but as Danno says, MY15 has the horn there and thus bolt to re-use. Plenty of space past the ABS pipes with the bonnet closed. Will see over time how it all holds up. 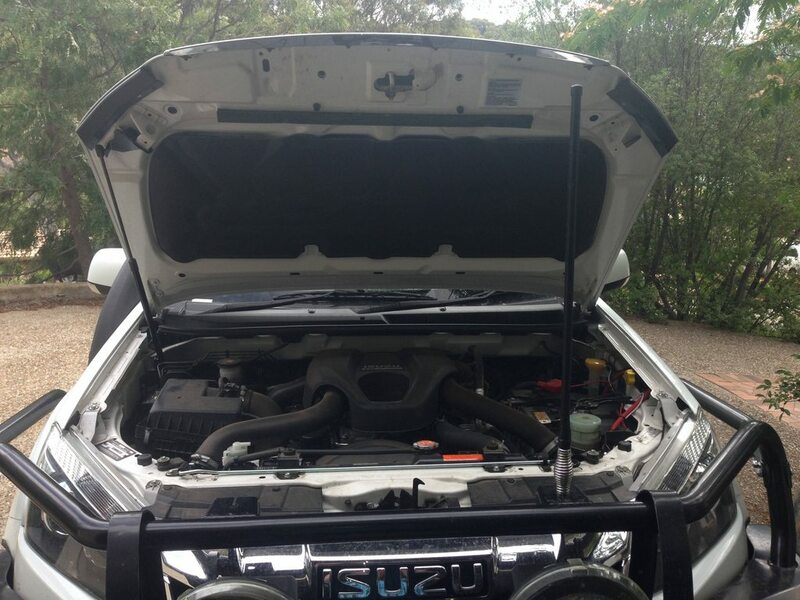 Being an Isuzu, the bonnet isn't opened much. 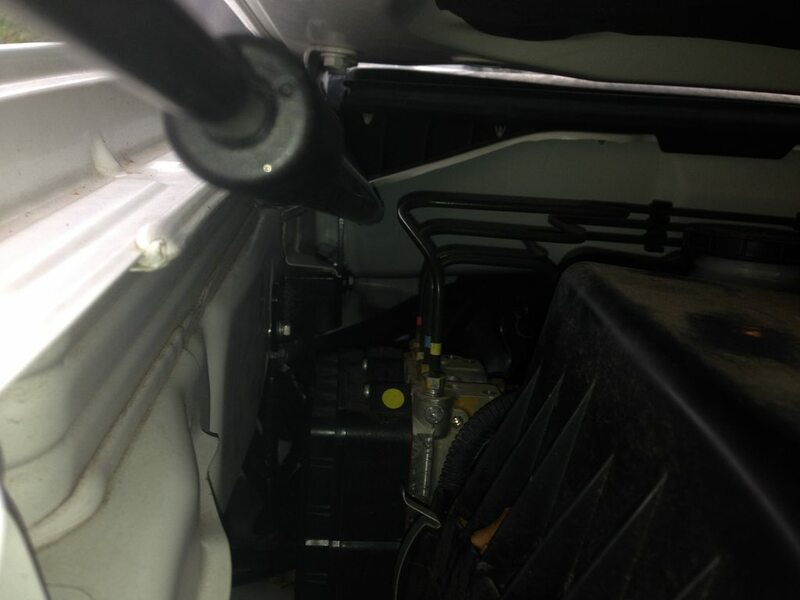 Only for servicing and filling wind-shield washer reservoir! Just bought one of these Sus-Tec bonnet lifter rams off ebay in UK. No instructions but found the photos here which gave me half an idea how to fit - thanks Aussie. Turned out it was pretty straight forward to fit and works very well. I bought another D-Max last Oct , trading in my 2013 d-max. Got one of the last pre face lift spec 2.5L ones as was not very keen on the new 1.9L engine Isuzu have dropped on us. Anyhoo, strut makes lifting the bonnet very easy. 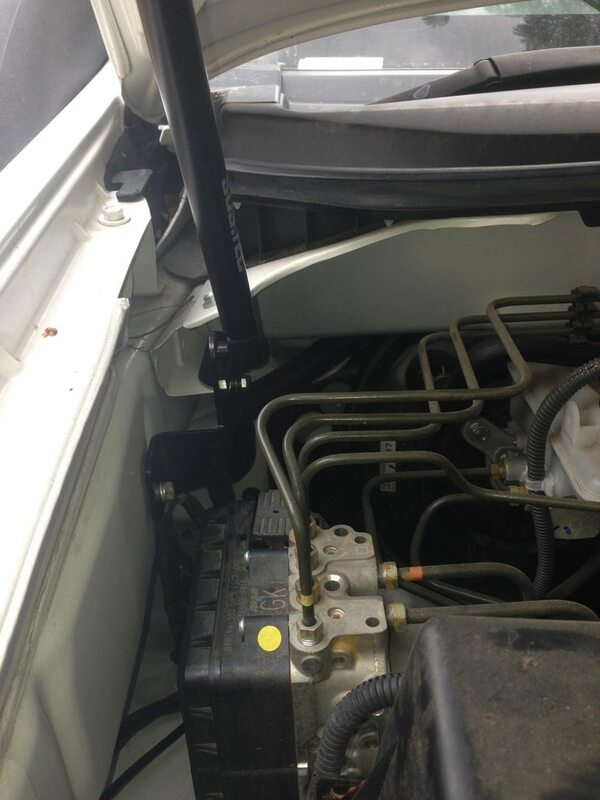 Couple of things which may help anyone fitting a gas strut. I'm told they are better mounted upside down to the photos. They lubricate better if the rod is mounted at the bottom. Also some time back I was having trouble with the struts on the canopy rear window. Struts weren't lifting very well. I was told not to use any oil or WD40 and only give them a wipe with brake cleaning fluid. Don't know for sure if the latter is correct but turned out the struts were too weak to lift the back window on canopy fitted over d-max bed and new stronger ones solved the issue. Banging my head on a half lifted rear window got very tedious I can tell you.